GDP slows. Consumer spending levels off. Employment just refuses to recover. Indeed, recent reports bring news of a possible reversal in the road to economic recovery. The good news in all of this for apartment companies if they are, or will be, in the market for financing, is that low interest rates may be ensured for longer than originally expected. Fannie Mae and Freddie Mac still dominate the multifamily financing market. According to the analysis of first quarter 2010 numbers by the Mortgage Bankers Association (MBA), the Government Sponsored Enterprises (GSEs) and Ginnie Mae are still holding, or guaranteeing, the largest share of multifamily mortgages, with $309 billion, or 36 percent, of the total multifamily debt outstanding. They are followed by commercial banks with $210 billion, or 25 percent, of the mortgages outstanding. CMBS, CDO and other asset-backed security issuers hold $107 billion, or 13 percent, of the total. Savings institutions have 7 percent ($460 billion) of the total multifamily mortgage outstanding, and life insurance companies hold $48 billion, or 6 percent, of the market share. Nevertheless, the latest industry development is that unlike last year, Fannie Mae and Freddie Mac are no longer “the only game in town,” notes Cameron Cureton, associate director at HFF (Holliday Fenoglio Fowler LP), who spoke recently at an apartment development webinar sponsored by Humphreys & Partners Architects LP. The life companies have shored up their balance sheets and are now back in the market, pricing just above the GSEs, says Cureton. Whether with regards to GSE or life insurance company financing, interest rates remain at historical lows. All-in interest rates for Fannie/Freddie financing are as low as 4 percent to 5 percent today, says John Brownlee, senior managing director in the Dallas office of HFF. Life companies are pricing a little higher, between 4.25 percent and 5.25 percent, he says. These two major competitors for multifamily financing today, however, may be competing for different products. The life insurance companies are contemplating lower leverages of up to only 65 percent loan-to-value (LTV) ratios and higher institutional Class A-type properties, while Fannie Mae and Freddie Mac financing can go up to 75 percent to 80 percent LTV and have more flexibility in the class of properties to which they can lend. “At the higher 75 to 80 percent leverage levels, no one can touch [Fannie and Freddie],” says Cureton. Insurance companies are also only financing shorter terms of five to seven years, while the GSEs will provide longer term financing of seven or 10 years, adds Brownlee. Where a transaction is targeted by both the insurance companies and the GSEs, the former are becoming very competitive. “Insurance companies are very aggressive on the larger deals, which are coming in at about the same rates as Fannie and Freddie, sometimes 10 to 20 basis points inside of that,” notes Mark Fitzgerald, senior debt analyst for CoStar Group Inc. The extremely favorable interest rates are underpinned by favorable spreads and benchmark Treasury bonds interest rates. Just when it was thought that Treasury rates have been low these few years, in late July the benchmark interest rate for the 10-year Treasury hit the 2 percent interest rate range again. The interest rate on the 10-year Treasury started rising somewhat in the beginning of the year, from the 3 percent range to a year-to-date high of 4.01 percent on April 5. But it has been steadily declining over the spring and summer, to about 2.9 percent by the middle of July—a level that has not been seen since the worst of the financial crisis in late-’08 to early-’09. “The Treasury rates have come in pretty significantly,” says Fitzgerald. The recent drops in the Treasury rates is generally attributed to a flight to quality on the part of investors in the aftermath of the European credit crisis and a weaker global economy, driving up demand for Treasury bonds, as well as the reduced possibility of late that the Federal Reserve will raise interest rates in the near term. Indeed, GDP rates have slowed from 5 percent in the fourth quarter, to 3.7 percent in the first quarter and 2.4 percent in the second quarter, and there were more indications this summer of weakening consumer spending and sentiment, as well as of perennial weaknesses in the job market. Spreads over Treasury rates have also moved in a favorable direction for stronger assets. They have compressed from around the 300 basis-point range at the beginning of the year to between 180 and 200 basis points in the spring, says Fitzgerald. However, as the 10-year Treasury rate started to fall in the spring, spreads have widened somewhat to about 200 to 220 basis points by mid-summer. This range of 200 to 220 basis points, in any case, is the long-term average for spreads, Fitzgerald notes. Still, the wider spreads, says Fitzgerald, is more a result of Treasury rates falling—lenders want to protect themselves from higher interest rates in the event of any future interest-rate reversals—than of any perceived increased risk in mortgage bond investments. In this regard, if quantities of weak economic data continue to be churned out, spreads may continue to widen, predicts Fitzgerald. On the other hand, he forecasts that if the recovery takes hold, spreads may compress further. One major reason that the Treasury interest rates will continue to be depressed is that employment remains weak. The Federal Reserve, in its June 23 guidance, stated its intention to pursue a policy of “exceptionally low levels of the federal funds rate for an extended period.” As far as the forecast for the Treasury rate, Fitzgerald expects the benchmark to remain relatively low in the near term. “If recovery begins to gain traction, we could see the Treasury rate increase in 2011 or 2012,” he says. Brad Doremus, analyst at Reis, adds it is not likely that the Federal Reserve will raise the federal funds or other interest rates until the labor market shows signs of stabilizing. Despite the lower interest rates, not as many multifamily borrowers seem to be taking advantage of the low rates as might be expected. According to the latest report from MBA, multifamily originations fell 25 percent in the second quarter, compared to the same period in 2009. “Borrowing remains light, as few commercial property owners are selling or refinancing their properties unless they have to,” states Jamie Woodwell, vice president of commercial real estate research at MBA. 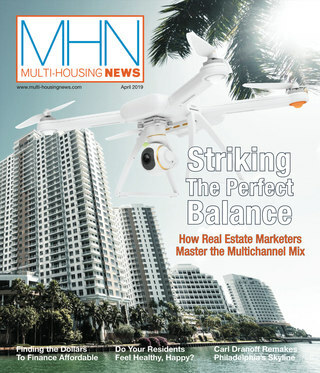 Calanog agrees that relatively low multifamily transaction volume may be accounting for the low levels of financing. “A lot of our lender clients are staying put because even transaction volume has not increased, although everyone was expecting transactions to be higher in 2010. The vulture and opportunity funds—we are not seeing those transactions just yet,” he comments. Compared to the first quarter, though, the MBA data shows that originations have actually grown so far this year. 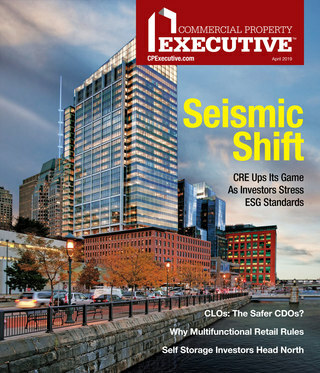 The volume of GSE originations increased by 21 percent from the first quarter to the second quarter of 2010. Commercial real estate loans for life insurance companies rose by 57 percent in volume. CMBS, meanwhile, grew by 106 percent in loan volume. However, the increase in the CMBS originations took place in the commercial real estate sector, not multifamily. The two multi-borrower CMBS issuances this year—by JPMorgan and RBS—were both dominated by retail properties, with some office and industrial. In this low-interest environment, HFF’s Brownlee says customers are selecting fixed-rate mortgages, unless they want prepayment flexibility for short-term hold. Adjustable-rate mortgage interest rates, he says, are in the high-3 percent to mid-4 percent range for the GSE loans. The market is also starting to see more interest-only loans, though cash-out remains rare and much tougher to obtain, he says. Underwriting standards, says Brownlee, have not changed much, with the except that the coverage ratio has become more favorable. This is because as the cost of debt has fallen, the amount of proceeds is able to rise. Unlike Reis’ Doremus and CoStar’s Fitzgerald, Brownlee has a less optimistic take on whether interest rates will stay extremely low. “The market consensus is that there is a greater likelihood that rates will rise than that they will fall any further,” he says. Some groups are even predicting that interest rates will rise by the end of the year, he says. Borrowers will have to decide for themselves which scenario seems more likely.